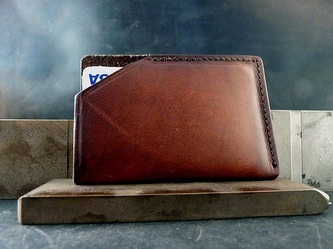 I'm the type of guy who will fill a wallet to capacity. 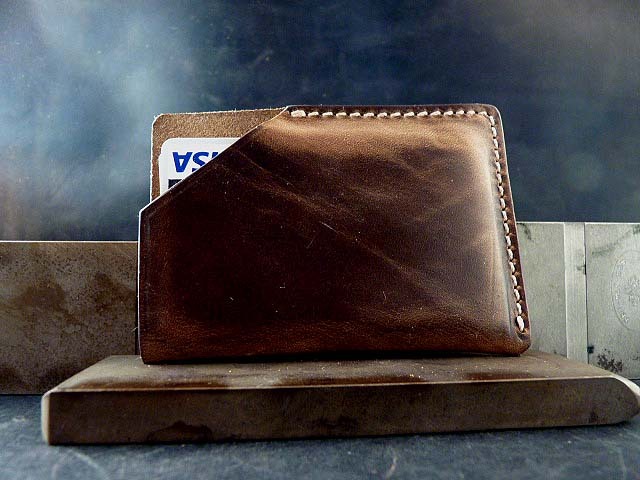 That's why I created my slim wallet. 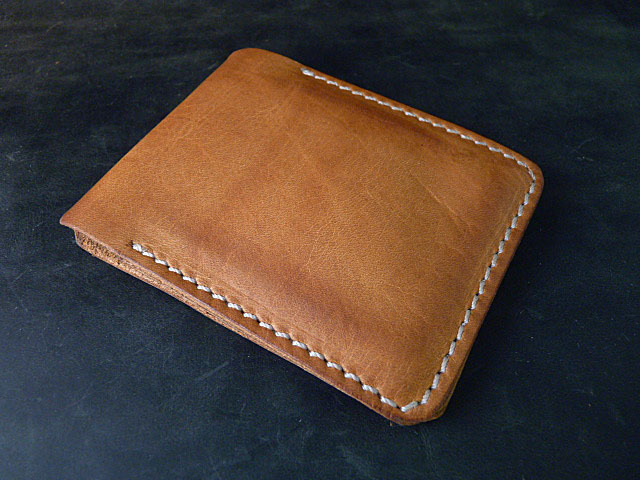 Simple design with just two pockets--plenty of room for the essentials. My wallet currently holds my license, three credit cards and a half dozen or so business cards. My good friend Danny totally abuses his and completely misses the point of owning a slim wallet--PROOF. 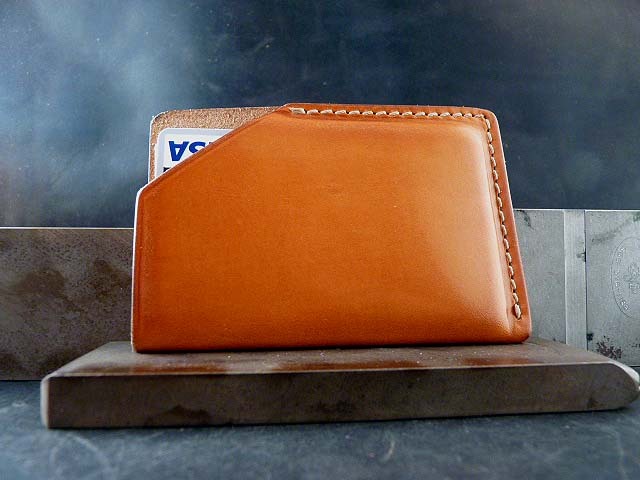 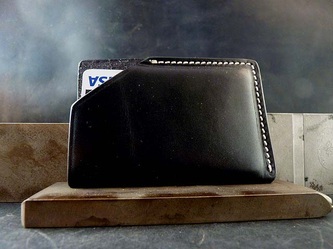 When used appropriately, Danny, the slim wallet compels you to simplify your life. 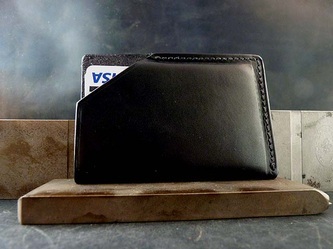 It also works great as a business card holder. 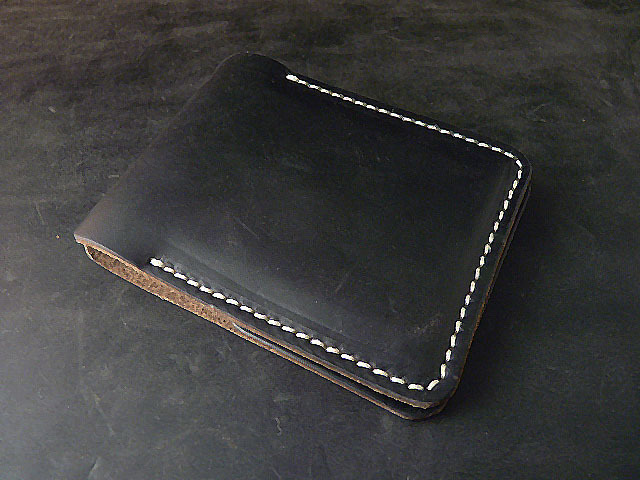 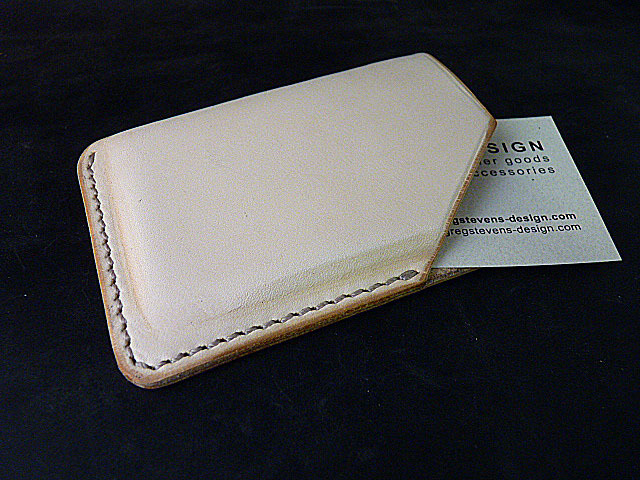 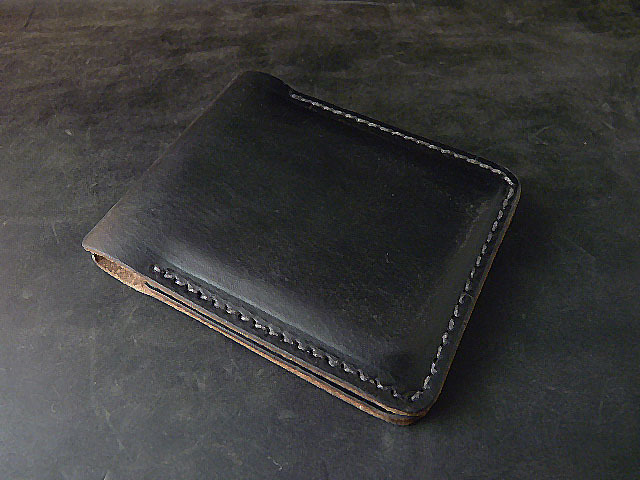 Can be made from just about any of my current leathers and makes for a really nice gift. Here are a few examples. 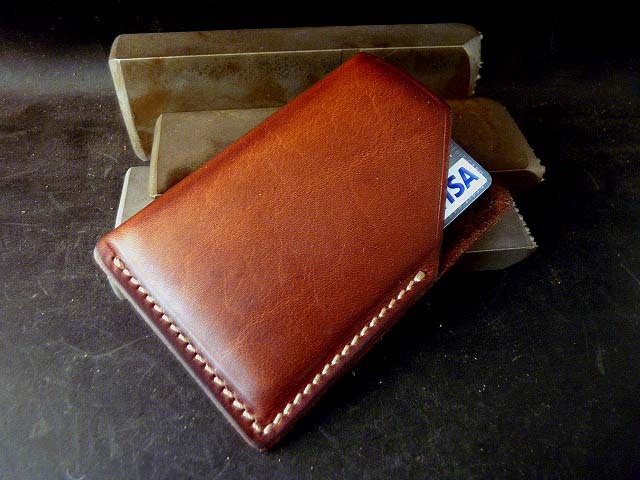 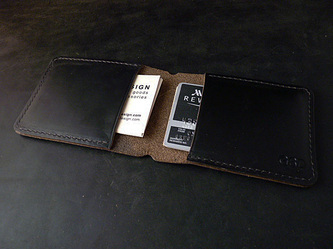 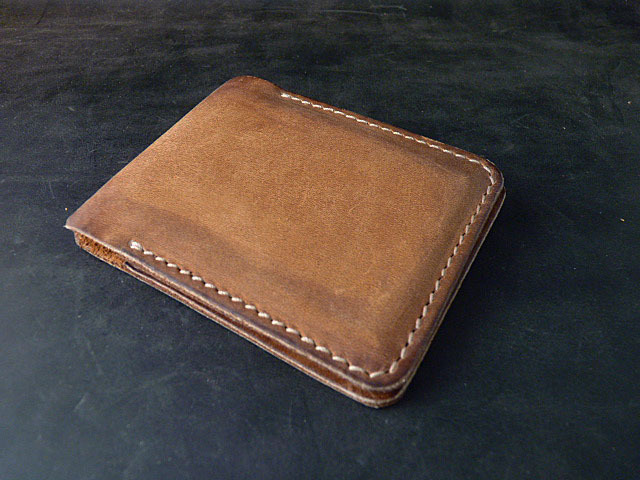 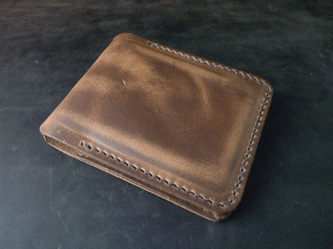 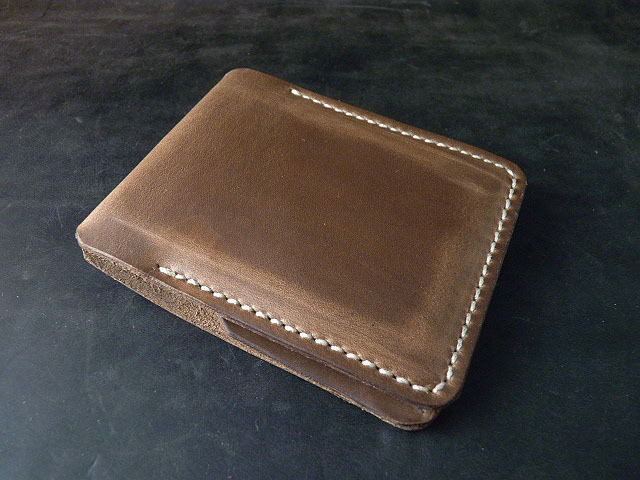 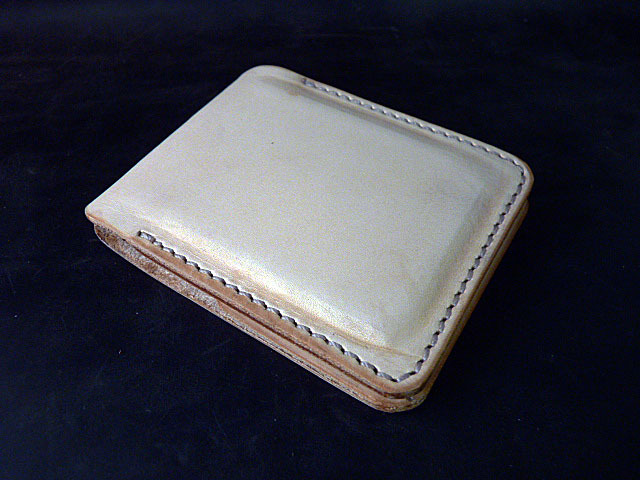 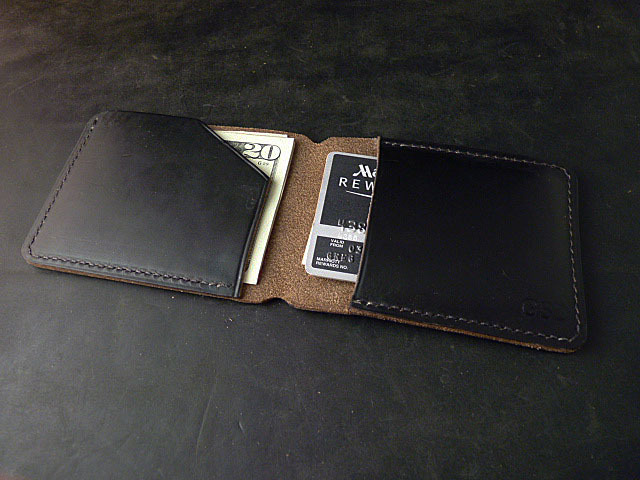 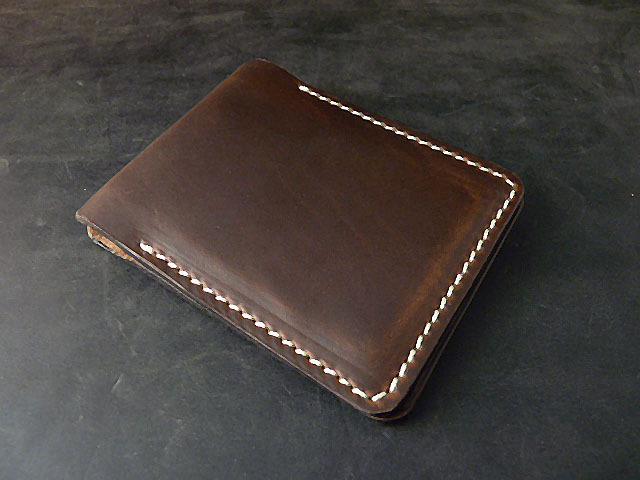 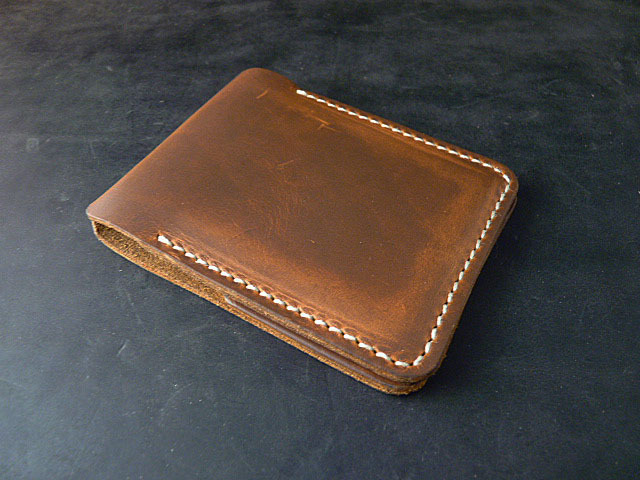 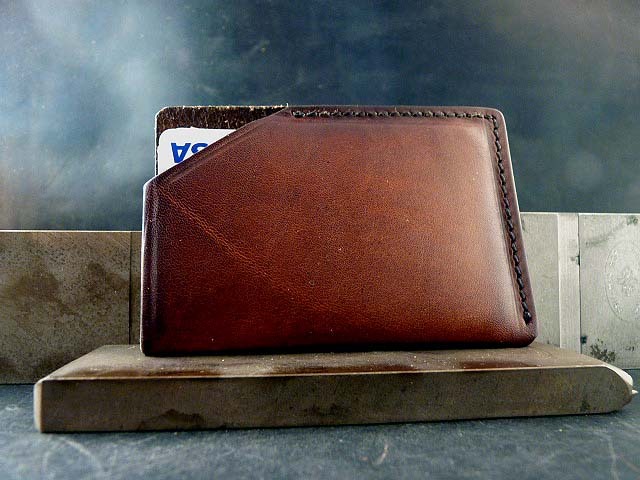 The Slim Wallet is available with either a 2 card pocket configuration or 1 card pocket + cash sleeve as shown here. For those who believe that 2 pockets is 1 pocket too many, I present my Slim(mer) wallet. Slick design, single pocket, easily holds a few credit cards and a half dozen or so business cards, what more do you need? 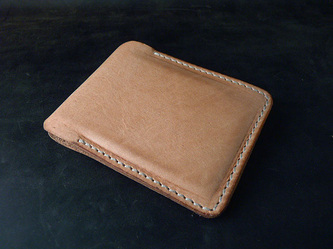 Available in most leathers.